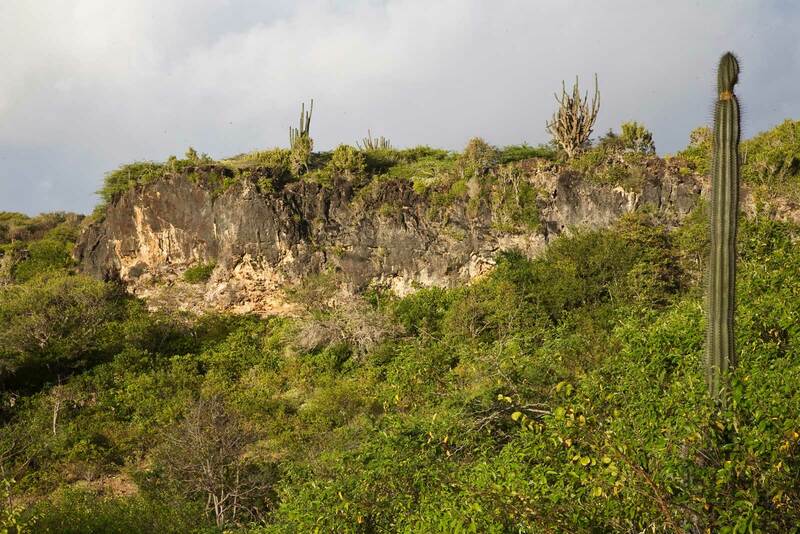 Bonaire has tropical dry forests with a variety flora such as columnar cacti, orchids, and even evergreen Lignum vitae. These forests give way to open rocky terraces and some freshwater pools. The forests and terraces are home to a variety of fauna such as butterflies, birds and lizards.